Podiatry House Calls in Houston... convenient, cost-effective care. 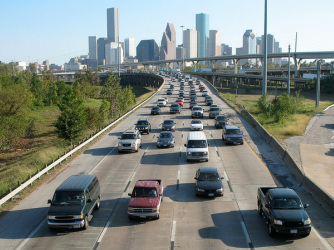 Living in the Houston Area creates special demands. Schedules are tight and traffic can be time consuming. It all makes getting in the car to try and get to the doctor seem bothersome. A podiatry house call visit can save you a tremendous amount of time, money and hassle. No toll fees, no gas, and most importantly... no wasted time. Busy executives, parents with kids at home, and adults helping to care for homebound or elderly parents are all discovering the value and convenience of doctor's visits at home. If you spend much of your time in the office putting out fires, you may not have the luxury of leaving the office to sit in some waiting room for half of the day. Instead, our podiatrist will come see you at your office! If you don't like the idea of trying to parallel park on a busy street while trying to get all of your kids out of the car and into the doctor's office, a house call may be just what you need. Whether you have heel pain when you first step out of bed, or suffer from foot pain related to pregnancy, our award-winning foot specialist can come right to your home. This service is also perfect for anxious children who might have an ingrown toenail. You no longer need to arrange child care just to get some professional help and foot pain relief. It seems like nature's cruel trick. When we get older and simply struggling to stay healthy enough to live at home, we find it necessary to leave the house more often for doctor's visits. For loved ones helping their parents and spouses get to the visits in can seem like a burden. With a house call, you can save yourself as much as a half day of wasted time. Just let the podiatrist come to you. No need to take a day of from work just to have a diabetic foot checkup or get Mom's toenails trimmed. We can even provide expert diabetic foot wound care at home. Ingrown Toenails: Ingrown toenails are so painful that we think they should all be treated as an emergency. Whether they are infected or not, there is absolutely no good reason to delay treatment. We can bring the podiatrist office to you and fix that painful ingrown toenail today... right in your own home. We are on call 24/7. Diabetic Foot Care: Diabetes is the leading cause of amputations. This is mostly preventable. Diabetic amputations are the result of waiting a little too long, to get a little bit of expert help. Our podiatric physician and surgeon is a diabetic limb salvage expert. We bring all of the award-winning expertise right to you. We believe all amputations are preventable. We offer personalized diabetic foot care packages as a cost-effective means of delivering expert in-home care for you or someone you love who is living with diabetes. Heel Pain: Don't let morning foot pain get you down. Get treatment for your heel pain with an easy and convenient housecall today. Heel spur syndrome and plantar fasciitis can easily be treated at home. No more heel pain. And no more waiting. Homebound and Elderly Footcare: Trimming thick painful toenails, removing painful calluses, right in the home. Twisted or Sprained Ankle: Ankle sprains account for 85% of all injured ankles. 25,000 people seek treatment for twisted ankles every single day. Unfortunately if you go to the local Emergency Room, you may wait hours to see a doctor. Even then, you will still be instructed to go see an ankle specialist. Now you can skip all the hassle and have an award-winning ankle specialist come right to your home or office. We are on-call 24/7 so you don't have to wait. Thick Difficult to Cut Toenails: One of the most frequent reasons adults go to the podiatrist is to trim thick, yellow, painful toenails. In most cases, just cutting these toenails provides tremendous relief from discomfort and can make walking much easier. There is really no reason to wait all day in a crowded podiatry office just to get those toenails trimmed. We provide house call podiatry appointments even for toenail trimming. Call to schedule your housecall today! - 713-489-7674.